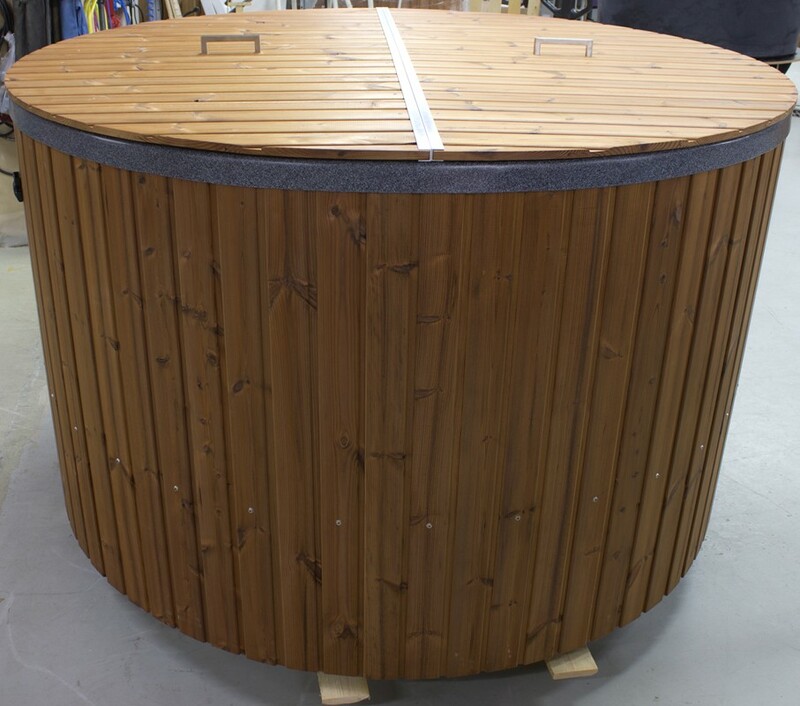 2-part cover for Hot tubs that speeds up the heating and keeps the inside protected from dirt. Made from heat-treated pine. 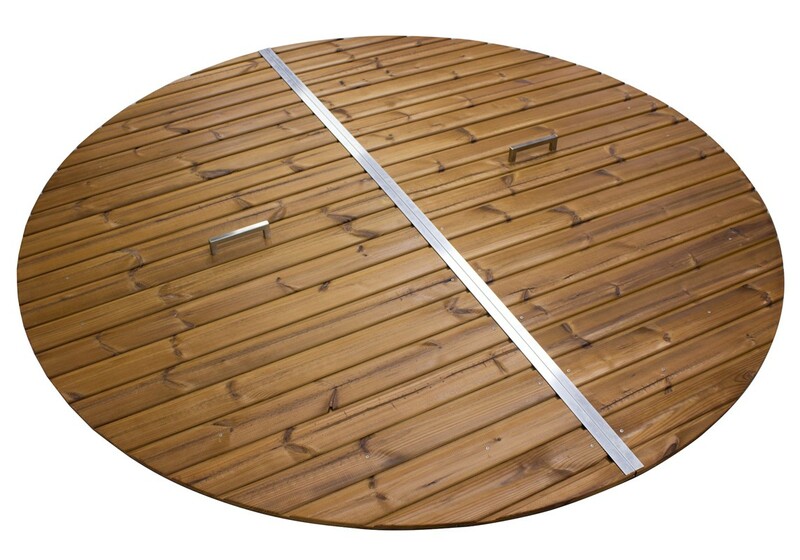 The lid is slightly convex in shape so that rain will drain towards the sides and off the hot tub.